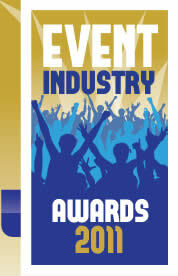 We are delighted to announce that Festival of the Fires has been nominated for a prestigious Event Industry Award. Now in their third year, the aim of these awards is to celebrate excellence and showcase the very highest standards in Ireland’s event industry, and also to provide a platform for the industry to meet and network. The annual Event Industry Awards are rated as the biggest and best awards and it is privilege for Festival of the Fires to be rubbing shoulders with such incredible nominees like the Electric Picnic and Castlepalooza festivals. The Event Industry Awards are devised and organised by Event Strategies in association with a number of partners and the Awards Ceremony takes place at the Burlington Hotel in Dublin on Thursday June 16th. We have been nominated in the Best Green Event category. We are also delighted to see that many friends of Festival of the Fires are up for awards in other categories. Indeed, many of the companies who worked on Festival of the Fires are up for awards, including our good friends at Just Lite Productions who have been working with us on Festival of the Fires for the past three years. This entry was posted on Monday, June 13th, 2011 at 11:10 am	and is filed under Blog, Fire Ceremonies and Parade. You can follow any responses to this entry through the RSS 2.0 feed. Both comments and pings are currently closed.